A surveillance camera system can help ensure the safety of what matters most: your family, loved ones, home, business, and valuables. There are several questions you may have before or after installing, and we are here to help. Read on to discover some frequently asked questions about security cameras. 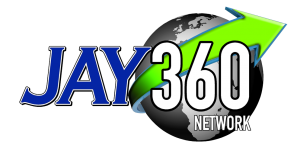 If you are looking to purchase your own security camera system, be sure to contact Jay360 – the #1 provider for both residential and business surveillance and security! 1. How Do I Find the Surveillance Camera I Need? If you’re looking to install a security camera and don’t know where to start, trusted online reviews are a great resource. To point you in the right direction, here’s the Best Home Security Camera System From 6 Consumer Reports. You should also check out our article called Endless Security Camera System Options? – How To Find What You Really Need and contact us today if you have any further questions. 2. Why Are Surveillance Camera Laws So Important? Becoming familiar with the video surveillance laws will help you make the right security investments, reduce confrontation with others in the community, and educate you on privacy rights. The main reason to know the laws is to avoid legal issues and conflicts with your neighbours. Having the most updated information will help you as a property owner by ensuring your system is on the same level as you increase your security profile. Remember that generally speaking, collecting personal video or audio of another person without expressed consent is prohibited. Both home and business owners should become acquainted with these laws. See below for more. You can learn more by reading the Guidelines for the Use of Video Surveillance, published by the Privacy Commissioner of Ontario in 2015. 3. What’s the Status of Residential Surveillance Camera Laws in Ontario? 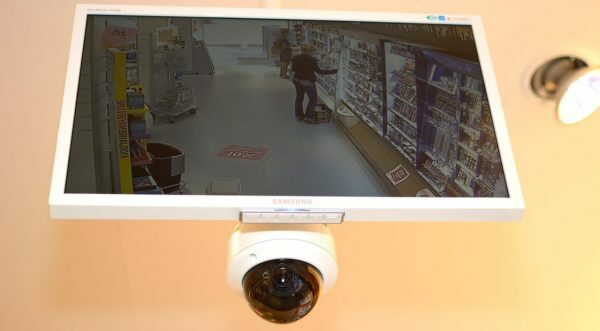 Video Surveillance used for Criminal Prosecutions – recent video surveillance footage can be used in legal proceedings for witnesses or victims who were under 18 years at the time of the offence (source). Evidence from victims or witnesses who have a disability – video recordings which are recent can also be used for these types of legal proceedings (source). 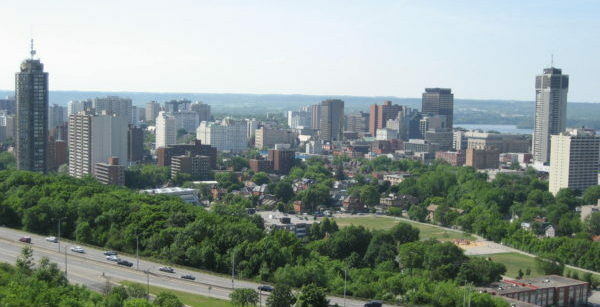 Cameras are to be pointed at owner’s property – certain bylaws like the one in Hamilton, Ontario, specify this requirement for the sake of neighbours’ privacy (source). London prohibits the use of surveillance cameras – the city of London, Ontario, does not allow for the use of excessive enforcement like video cameras (source). Guidelines for surveillance cameras in the private sector – The following source contains a list of guidelines for the use of surveillance cameras (source). Surveillance laws are always evolving so be sure to keep up to remain compliant. 4. What’s the Most Important Thing to Consider Before Installing? A general rule of thumb for you to keep in mind is that in a shared community environment, the privacy of all residents should be considered of utmost importance as part of your security system installation. 5. What Should I Know About Surveillance in the Workplace? When it comes to workplace surveillance cameras laws in Canada, employers should – at a minimum – tell their employees what personal information will be collected, used, and disclosed. If you’re a business owner who wants video surveillance in a general area, you should post notices and signs in conspicuous places that are easily readable, and in both English and French. The purpose of the signage is to remove any reasonable expectation of privacy. For more, read Surveillance Cameras In The Workplace Laws in Canada: All You Need To Know. Employers should – at a minimum – tell their employees what personal information will be collected, used, and disclosed. 6. Are There Any General Workplace Privacy Guidelines I Should Follow? The employer should say what personal information it collects from employees, why it collects it, and what it does with it. Collection, use, or disclosure of personal information should normally be done only with an employee’s knowledge and consent. The employer should only collect personal information that’s necessary for its stated purpose, and collect it by fair and lawful means. The employer should normally use or disclose personal information only for the purposes that it collected it for, and keep it only as long as it’s needed for those purposes, unless they have the employee’s consent to do something else with it, or are legally required to use or disclose it for other purposes. Employees’ personal information needs to be accurate, complete, and up-to-date. Employees should be able to access their personal information and be able to challenge the accuracy and completeness of it. Remember: When it comes to hidden and even openly disclosed surveillance cameras to routinely record job activities, Canadian courts have generally not looked favourably on employers who install surveillance cameras to spy on employees without good reason. An employer’s need for information should be balanced with an employee’s right to privacy. 7. What Are Some Helpful Surveillance Camera Tips? In a shared community environment, the privacy of all residents should be considered as part of a security system installation. The following are some quick tips on how to deploy your surveillance system in your community with the right engagement while minimizing complaints! Think community safety – starting a discussion on community safety may help other neighbours create a consensus on video monitoring. A system is better than a silo, meaning if your neighbours also want to help by using their own system this can offer better coverage than one home’s video cameras could provide. Ensure comfort with surrounding neighbours – having an honest conversation with your neighbours can help you discuss their comfort level with you adding a security camera to your property. You may even gain an extra pair of eyes to help you watch your property! Demonstrate no harmful intent – document your installation and practices to provide city officials evidence that you weren’t out to infringe on people’s properties. This can include logs, periodic checks that camera positioning is away from other properties, and consultations with neighbours. Offer footage to neighbours – some perpetrators of crime may use adjacent properties to enter a victim’s residence. Offer up this footage to try and help your neighbours so that they know you have a vested interest in the community and their well-being. Address your privacy concerns – if you feel a neighbour may be infringing on your home privacy, be sure to discuss with the owner of the video camera, as this may be a quicker resolution than filing a complaint with your local city. Contact your local city or bylaw advisors – ensure you are on the right side of the law, this shows care and due diligence on your part so you can’t be faulted. Check for contact information in general inquiries and complaint filing sections. Where Can I Learn More About Surveillance Cameras? This series helps you choose and set up the best camera system for your next surveillance project: offering insights and direction to those wishing to secure their home and small business premises. Chapter 6 – How much do surveillance cameras cost? As you can see, there are many more factors to consider when designing and installing a surveillance system. 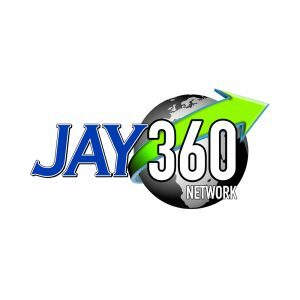 Jay 360 continues to help clients ensure their premise’s security, looking at all the different angles to provide you with peace of mind and comfort. You can rely on the knowledge and experience of Jay 360 to provide you with the best home security solutions. We will recommend only the security products that meet your specific needs and budget. Call on Jay360 to help you to plan the ideal security camera system to suit you and your needs, all at the very best value. © Jay Fencing - All rights reserved - Jay Fencing is committed to respecting the privacy of individuals and recognizes a need for the appropriate management and protection of any personal information that you agree to provide to us. We will not share your information with any third party outside of our organization, other than as necessary to fulfill your request.